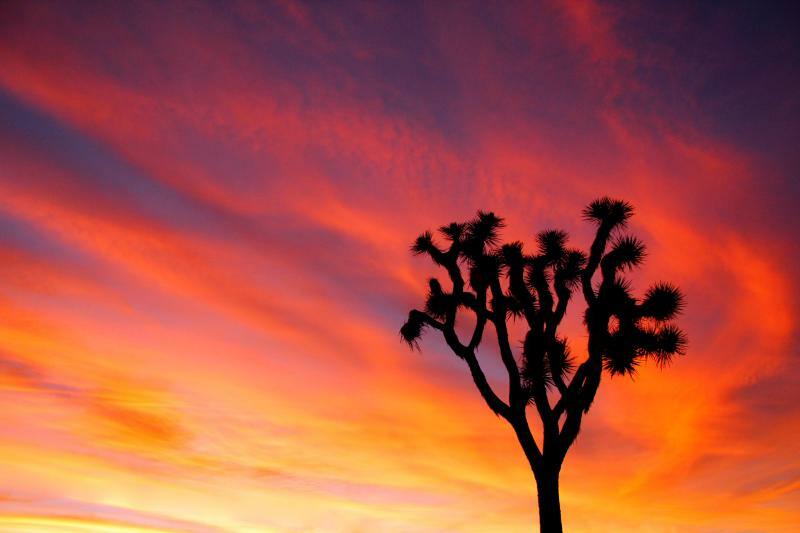 Do you know which park was established first? If you guessed Yellowstone National Park, you’re absolutely right. Yellowstone was established in 1872 when Wyoming and Montana were still territories. Have you ever been to Yellowstone? I have, multiple times and it is one of my favorite parks in the entire country (along with the Grand Canyon). 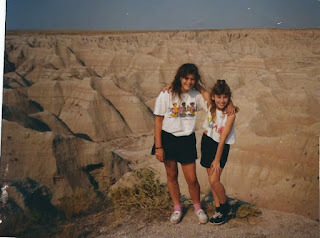 This is a picture of my daughter and her friend in the Badlands National Park in South Dakota. Have you ever been there? This is Misty standing I front of the Grand Canyon. It was a raining day and we watched wall clouds of rain sweep across the canyon. Sorry about this one! It's kind of blurry (my husband took this pic). 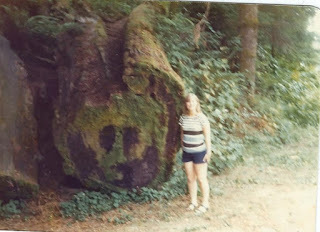 This is a picture of me years ago standing next to a giant redwood in Redwood National Park. I’d love to see your pictures! Come on over to the Sweet Romance Reads Café and post your memories of fun times with your friends and families. Join us at the Sweet Romance Reads Cafe to chat with our authors. 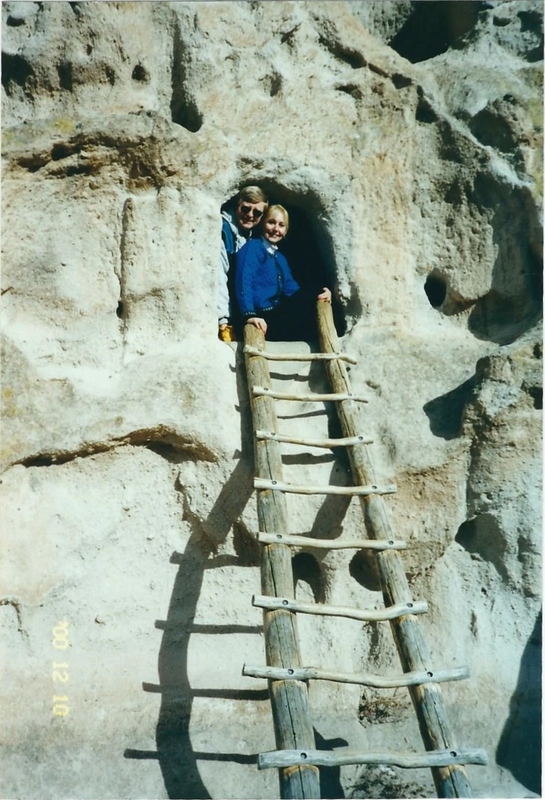 We just returned from visiting Bryce, Zion, and Grand Canyon National Parks. We saw all the centennial gear at the parks. 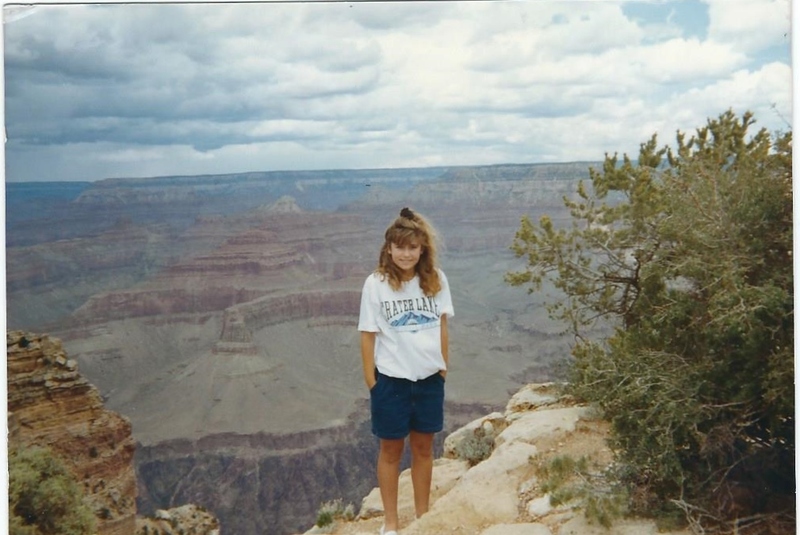 I haven't visited a national park in years. Thanks for the reminder. I think I'm up to nine. I've never made it to Mt Rushmore. Hope I can get there!